Certified gluten-free product. 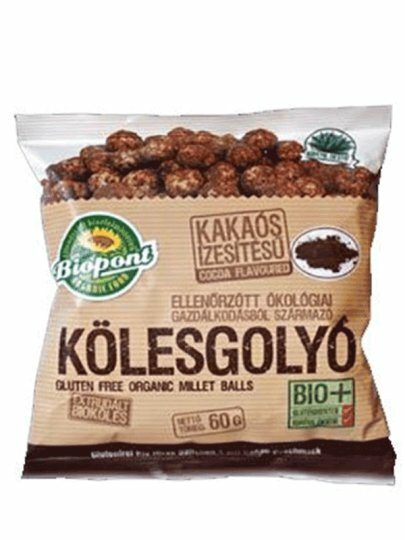 Extruded balls of millet contain the best from controlled organic cultivation. An ideal "snack" for people with gluten intolerance and for all those who love crunchy snacks. shelled millet *, * 17% agave (agave extract silver), palm fat *, low fat cocoa powder * (5.8%), corn maltodextrin *. It can contain milk and nuts in traces.